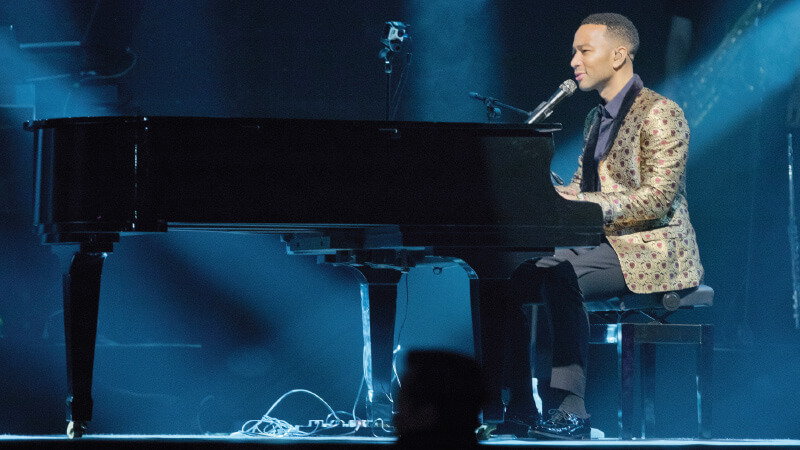 It was a magical and sultry Saturday night with the legendary American singer, songwriter, musician and actor John Legend — for those of us who made it for his one-night-only concert at Resorts World Genting’s (RWG) Arena Of Stars. The close to 5,000 audience was all set for a dynamic evening with the acclaimed singer — winner of 10 Grammy Awards and a Golden Globe award for the song Glory, from the film Selma — who was in Malaysia for the third time. “It's good to be back. I love you Malaysia,” said Legend at the start of his Darkness and Light World Tour in Malaysia. Legend took us on a memorable musical experience at the Arena of Stars. During the close to two-hour concert, the singer who has produced several hit songs with five studio albums to his name, performed over 20 of his R&B and soul numbers for his fans — which included Beauty and the Beast, Ordinary People, Save Room, Green Light, Love Me Now and fianally after an encore All Of Me. He also sang his latest singles, Love Me Now, Penthouse Floor and Surefire. The 39-year-old, born John Roger Stephens in Springfield, Ohio, started performing as a child in a Pentecostal church. Legend's stage name, was given to him by performance poet J Ivy because of Legend’s classic soul voice. This name was only reluctantly adopted by Legend himself once others started using it. After college, there was a long period of trying to establish himself, during which Legend held down two jobs — one as a musician and another as a management consultant for Boston Consulting Group. His signature hit, 2013’s All of Me, from his fourth album, Love in the Future, is the one that is popular at weddings and it is an ode to his wife, model Chrissy Teigen. And saving the best for the last, Legend performed his hit song All Of Me for his fans with musical accompaniment by his 11-member band. Before this concert, organised by Genting Malaysia Bhd, Legend performed in China, Japan and South Korea. He is due in Taiwan, the Philippines and Thailand next.